FILE PHOTO: A construction worker talks on the phone in front of a 1Malaysia Development Berhad (1MDB) billboard at the Tun Razak Exchange development in Kuala Lumpur, Malaysia, February 3, 2016. KUALA LUMPUR - Malaysia has asked Interpol to try to locate a Malaysian financier for questioning over his suspected involvement in a multi-billion dollar scandal at state fund 1Malaysia Development Berhad (1MDB), the deputy prime minister said on Monday. The U.S. Justice Department is seeking to seize $1.7 billion in assets that it said were bought with misappropriated funds from 1MDB, according to dozens of civil lawsuits filed by the department in the past two years. The assets include a private jet, a hotel and real estate in New York, and a $107 million interest in EMI Music Publishing bought by Low Taek Jho, also known as Jho Low, the lawsuits said. Low, whose whereabouts are unknown, has not been charged with any crime. But U.S. authorities have said they are pursuing a criminal probe into 1MDB-linked transactions. “We are confident Interpol will act professionally, but the police have yet to receive any detailed information (on Low’s whereabouts),” Deputy Prime Minister Ahmad Zahid Hamidi said in parliament. A spokesman for Low could not be reached for comment. Low has previously denied any wrongdoing, saying that the U.S. Justice Department’s actions were “a further example of global overreach in pursuit of a deeply flawed case”. Interpol did not immediately respond to an emailed request for comment. 1MDB, founded by Prime Minister Najib Razak, is facing money laundering probes in at least six countries including the United States, Switzerland and Singapore. A total of $4.5 billion was misappropriated from 1MDB by high-level officials of the fund and their associates, according to the U.S. lawsuits. Low is accused in the lawsuits of using 1MDB-linked funds to buy Hollywood actor Leonardo DiCaprio a $3.2 million Picasso painting, and giving about $9 million in jewelry to Australian model Miranda Kerr. DiCaprio and Kerr have turned over the items to U.S. authorities and promised to cooperate in the 1MDB probe. The lawsuits also said $681 million from 1MDB was transferred to the account of “Malaysian Official 1”, which U.S. and Malaysian sources have previously identified as Najib. Najib has denied any wrongdoing and a Malaysian government investigation has also cleared him of any wrongdoing. 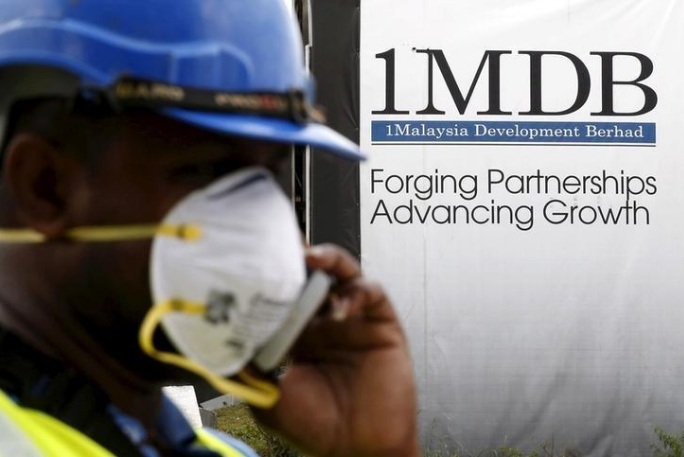 A Malaysian police probe into 1MDB is under way. Malaysia has asked Interpol to try to locate a Malaysian financier for questioning over his suspected involvement in a multi-billion dollar scandal at state fund 1Malaysia Development Berhad (1MDB), the deputy prime minister said on Monday. The U.S. Justice Department is seeking to seize $1.7 billion in assets that it said were bought with misappropriated funds from 1MDB, according to dozens of civil lawsuits filed by the department in the past two years.